That are worth the drive. Plus, the last half of the drive, after you’ve left the sprawling urbanization, is quite lovely. It’s sort of like Northern California, only more so. It’s called San Kamphaeng and it’s actually well past the town with the same name. The cave is about three hundred feet deep. The water in the hot springs is too hot to touch when it comes out of the ground. You have to find a pool fifty yards away. 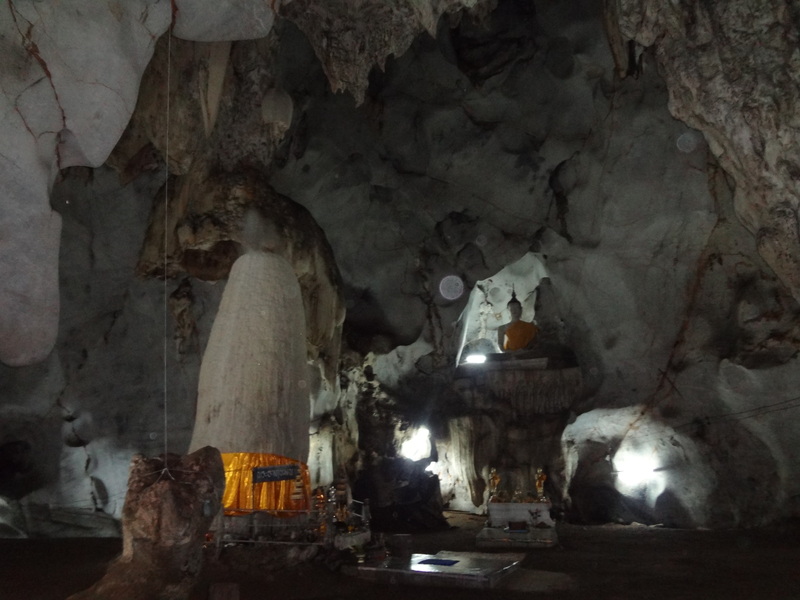 Here’s a photo of yet another spirit globe deep inside the cave. Scoff you believers in flash artifacts.